Perfect for changing rooms, schools, washrooms or general secure storage for employees. Designs to suit every project; built for both wet & dry environments. From colours & textures, to lock options; Nokk have a wide range of options available to choose from. This allows us to create storage lockers that suit your washroom or workplace, seamlessly integrating into the environment. 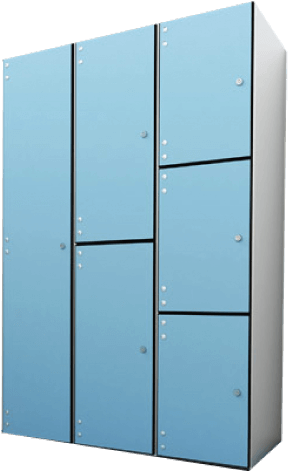 Styles of lockers available include; 1-4 Door Lockers, Z Door Lockers, Corner lockers. For a design, please get in touch and one of our team will be able to help. 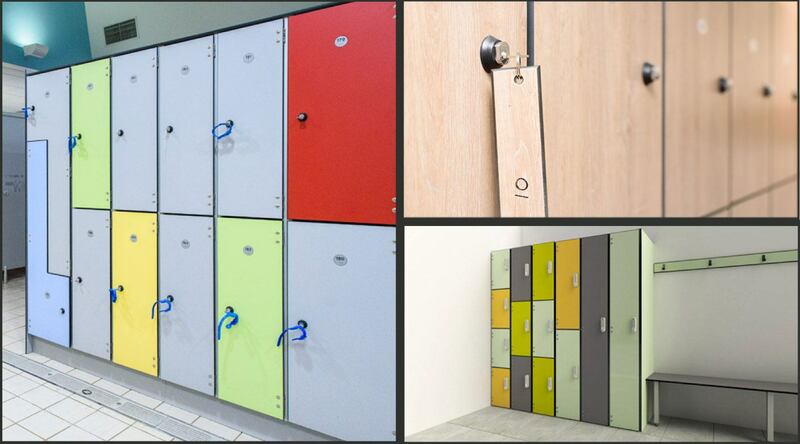 Nokk’s storage lockers are built to be robust and hardwearing; making them perfect for schools & changing rooms. With over 25 years experience within the washroom industry, we understand the requirements of these humid environments. Able to be used in wet & dry environments, our storage lockers can be used almost anywhere. You’ll be automatically emailed several brochures with various materials, colours & texture options for your lockers. One of our team will be in touch to send over any additional information you require.